Have you run out of ideas how to improve your farm and make it more efficient? 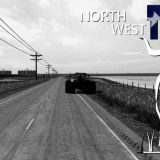 There is something that could help you in this situation – Farming Simulator 2019 Combines Mods. These additional samples provide you with new features which can solve various tasks. 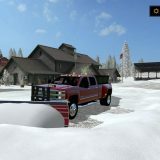 There are no doubts that Landwirtschafts Simulator 19 Combines Mods are useful tool because of its popularity world-wide. This means that players approve this way of upgrade. If you are ready to try it yourself, just pick a needed Combines Mod Farming Simulator 2019 from our files list, believe us, there won’t be any regrets! What could be better than harvesting your crops easily and without spending much time? 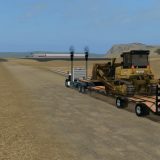 With FS 19 Combines Mods free files it can become reality right now! If it’s hard to decide, which file matches your needs the best, simply try few. As there are no payments, you can explore various samples without any concerns. All you need to do is simply click on LS 19 Combines Mods download button and implement the file to your game. Only few moments and you will be able to take a step into new version of your game. Accomplish goals which seemed to be impossible before and show your competitors who is the real leader. There should be no hesitations, it’s not risky at all and you won’t lose anything. Contrary, you can gain a lot of new experience and significant advantage. Who could miss this chance? Definitely not you, so go ahead right now!